T-Series recently released a song named ‘Main Tera Boyfriend’ from ‘Raabta’ movie which is dragging new war of accusations. 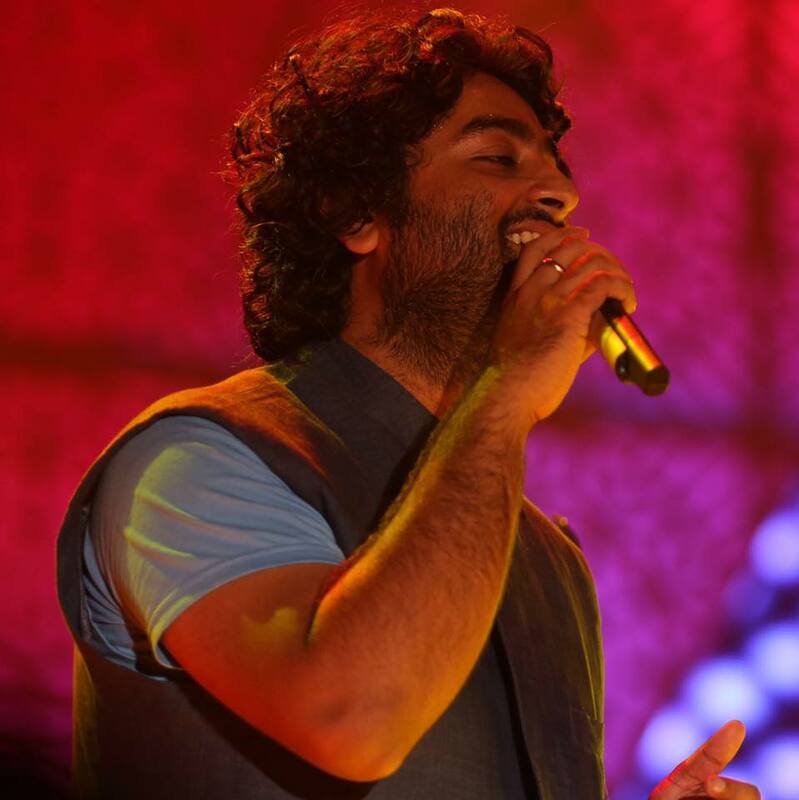 Recently bollywood fame star singer Arijit Singh was spotted copying Punjabi Singer J-Star song’s lyrics in his recently launched song. The news came with a bigger shocker when it was revealed that T-Series didn’t even cared to take permission for Music rights from Punjabi singer. T-Series oftenly complaints to YouTube and other video sharing websites claiming that the users indulged in copyright infringement should be punished. 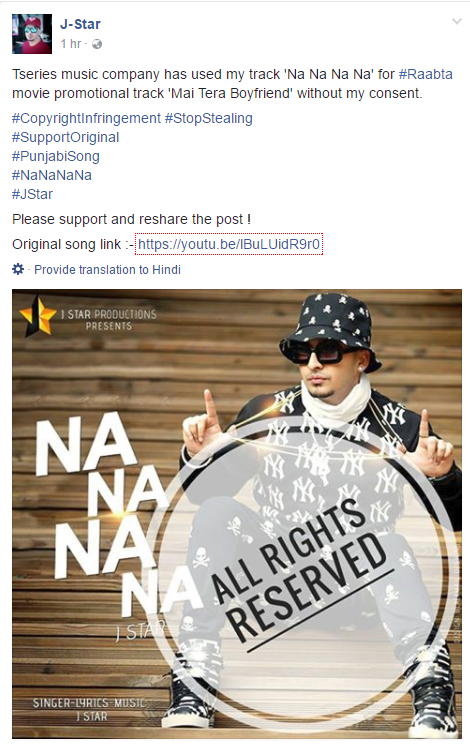 Now the table can be seen turning around as the Punjabi singer J-Star claimed that the bollywood music production company never asked for his permission. The company didn’t even cared to give link back to the original video. Coming to the best malpractices performed ever in the history of bollywood, T-Series have mentioned in the video “Original Lyrics – Jitendra Raghuvanshi”. Jitendra is real name of J-Star which he is no longer using in the public domain. The video “Main Tera Boyfriend” and film “Raabta” is facing public anger after revelation of the malpractices. Users on the social media are quoting the channel as “Fraud”. Many social media users were also spotted saying bollywood had no new film ideas earlier and now didn’t have own songs as well. Arijit Singh, Hindi Singer who is popular for continuous work in the industry with original ideas is also facing anger of social media users. The original video have over 84 million views on YouTube making it one of the interesting target for Cyber Squatters. J-Star’s channel is among the top channels in India having a close cut competition with YouTube in the most viewed videos in India. T-Series hasn’t released any public statement on these charges as of now. Raabta movie’s name is derived from a superhit song of 2012 film Agent Vinod.